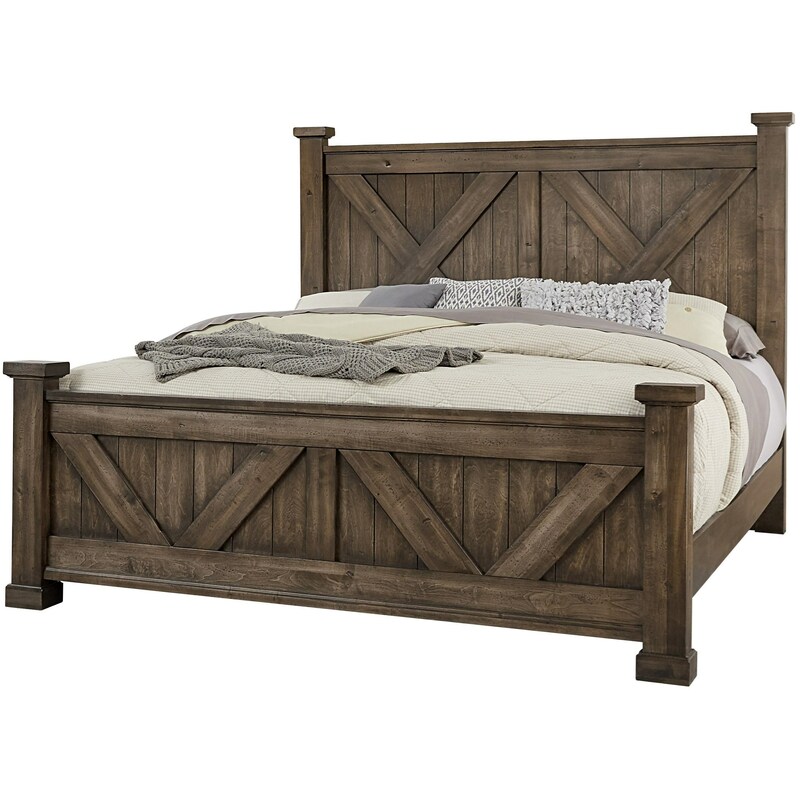 Give your bedroom the rustic charm you've been dreaming of with this solid wood queen bed. The barndoor X headboard and footboard provide an iconic look that creates an inviting atmosphere you'll relish coming home to night after night. The solid maple construction of the bed allows for you to rest easy knowing that this charming piece will last for years to come. 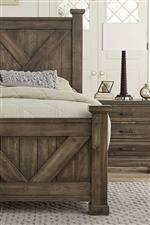 The Cool Rustic Solid Wood Queen Barndoor X Headboard and Footboard Bed by Artisan & Post at Zak's Home in the Tri-Cities, Johnson City, Tennessee area. Product availability may vary. Contact us for the most current availability on this product.